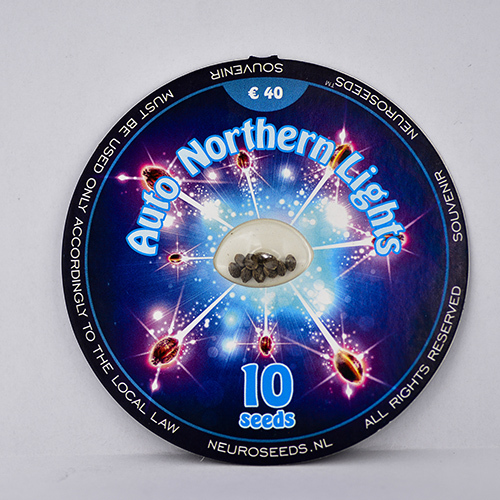 Auto Northern Lights, developed by Neuro Seeds geneticists and neurobiologists, is a medical marijuana, which is one of the most popular varieties among those who prefer growing cannabis indoors. One the major advantages of this variety is absolute absence of any flavor during flowering. Auto Northern Lights grows quite tall and produces dense and large inflorescences, which are abundantly covered with resin. It produces Indica effect with typical characteristics. Auto Northern Lights has a sweet taste and therapeutic properties that help the medical cannabis patients who are suffering from depression, insomnia, nausea, pain, stress, anxiety, headaches, gastrointestinal disorders, PTSD and PMS.Using Auto Northern Lights, you will feel euphoria, immersing you into ocean of happiness and relaxation.